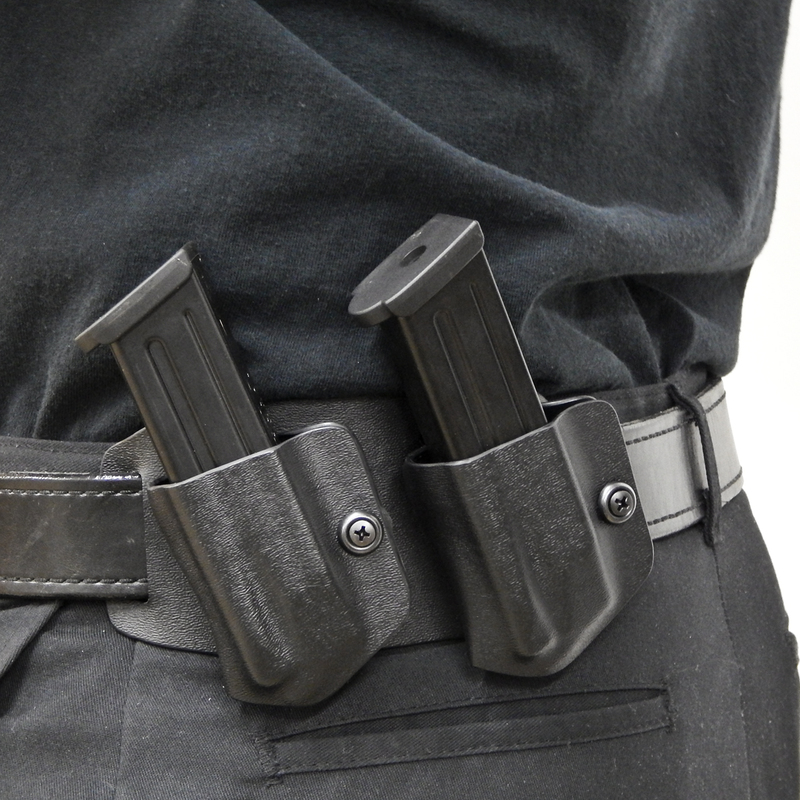 Available for August is our new Adjustable Cant Holster & Magazine Plate. Measuring at approx. 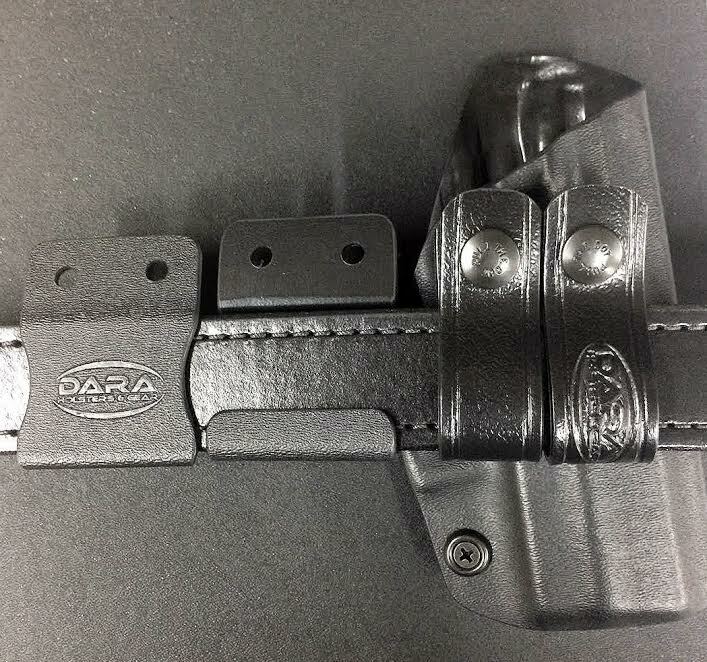 6 1/2" wide, our new Adjustable Cant plate can accommodate any two Dara Holsters' products at once. Here is the Adjustable Cant plate attached to a Custom Kydex OWB Holster for the Glock 43, and an OWB Single Mag Carrier. 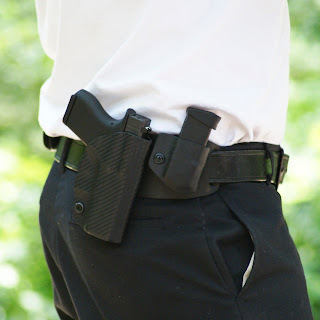 Both holsters can be separately set to straight draw, 7.5° forward or reverse, and 15° forward or reverse cant angle. 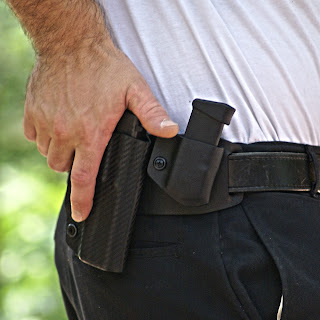 The plate acts as a carrier for both holsters, replacing a normal belt attachment. 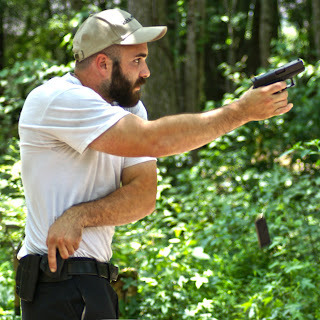 Instead of attaching a loop or paddle, the holster attaches to the plate using the same hardware. 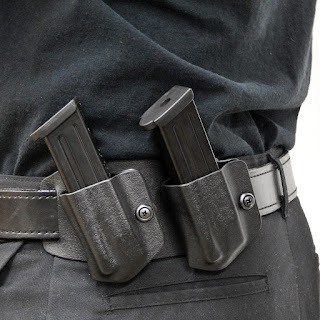 The plate also acts as a double belt loop system, adding the security and sturdiness needed to hold both holsters. Below, the Adjustable Plate is shown with two magazine carriers. Since the plate is ambidextrous, the options for it's uses are endless. The plate can be used as a double mag carrier for both right and left handed shooters for right or left side reloads. The cant angles can be adjusted for comfort and ease of use, as well as a quicker reload. 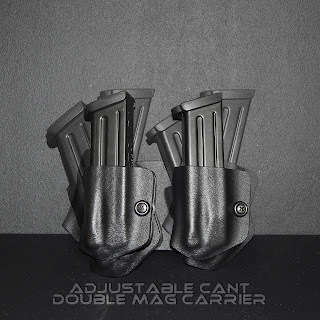 The plate can be bought separately or with two attached magazine carriers as our Adjustable Cant Double Mag Carrier. Purchased with two extra belt attachments, this package will give you everything you need for the range and everyday carry. Already have two magazines and an OWB holster? Purchase the plate separately for only $14.99. 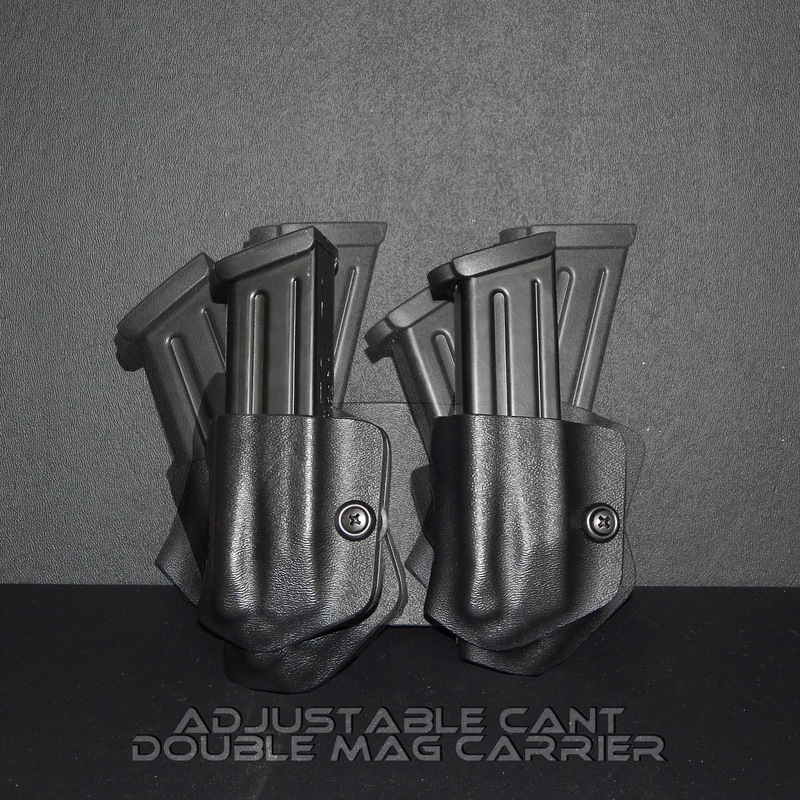 For a limited time only save 50% off our ENTIRE sale section, as well as 15% off our Adjustable Double Mag Carriers with code "ADJDBL15".